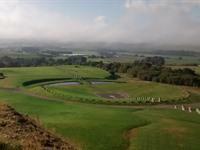 Crawick Multiverse - Just 10 minutes up the road you’ll find this incredible ‘Artscape’ designed by Charles Jencks. Sanquhar Castle - This beautiful little ruined castle sits just on the edge of the village of Sanqhuar on the main road a couple of minutes past the Multiverse. Drumlanrig Castle - Twenty minutes up the A76 you’ll find this stately home type castle and its extensive grounds. There are beautiful gardens and forest walks as well as one of the best adventure playgrounds in the area. Wanlockhead – Less than half an hour away you’ll find Scotland’s highest village (complete with Scotland’s highest pub of course!). Dumfries House – Another lovely day out within half an hour’s drive is this lovely House and gardens, complete with another great adventure playground for the little people.